DISCLAIMER: The opinions expressed here are those of the author and do not reflect oprainfall as a whole. 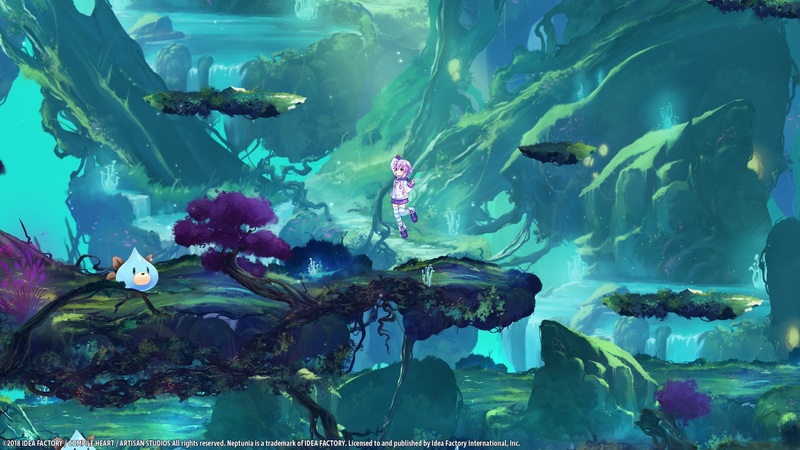 A new convention brings us a new build of the Super Neptunia RPG demo. Are things finally shaping up? Or have the flaws merely been highlighted? Super Neptunia RPG is a game which left me with mixed feelings after playing it at E3 2018. While I could see what Artisan Studios was attempting to do, the demo itself felt rather rough. In short, it felt more like a conceptual demo you’d present as a prototype than a demo meant for public consumption at an industry tradeshow. While I adore this franchise and wish to have faith in both Artisan Studios and Idea Factory, I was concerned. Then I heard from Idea Factory International that a new build of the game would be available at Anime Expo. So, since I’d be there I might as well give Super Neptunia RPG another try. How did that go and have my thoughts changed? Read on to find out. 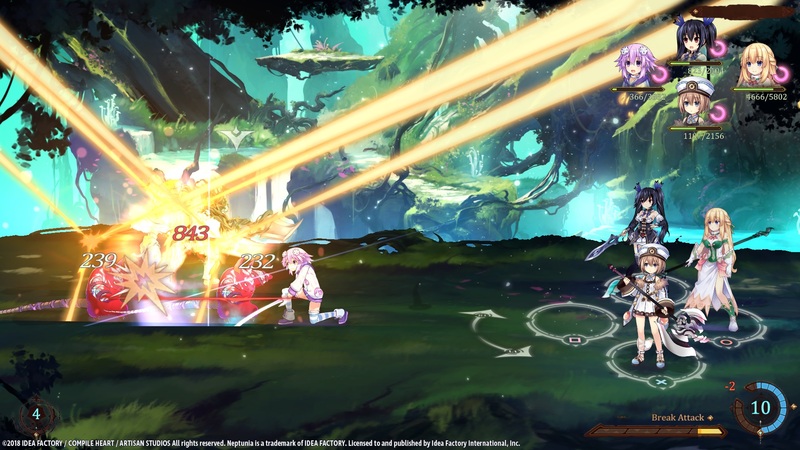 The first thing I’m going to note is that while the new build of Super Neptunia RPG does have some differences, the majority of what I said in my E3 2018 Impressions piece still stands. As such, to avoid reiterating what I’ve already stated I recommend you read that article first before delving into this one. I will note, however, that I’ve grown more accustomed to the Pudding Dogoo. We still don’t have any images of the Pudding Dogoo, but I can state that it at least feels better in this build. The Pudding Dogoo is something Neptune can create on the field to use as a springboard to jump much higher. I’m not sure what it is that was tweaked but it does feel more natural in this build than the E3 one. This could also just be me finally adjusting to the mechanic, but I do think it works. Aside from the Pudding Dogoo, there was one new mechanic added in this build and that was the Break Attack. The Break Attack is basically Super Neptunia RPG’s version of the EXE Break from previous Neptunia games. On the bottom of the screen is the Break Gauge which is divided into segments, just like the EXE Drive gauge. This gauge is what you’ll use to perform your Break Attack. I should note that for this demo, the gauge filled rather quickly and once at about half full would give me the prompt to perform the Break Attack. From here, you would select what character you want to perform the attack with the face buttons on the controller. In this case, since this was the Nintendo Switch version this would A, B, X, and Y. The meter in the lower-right of the screen here is Break gauge. Note that this screenshot is from the PlayStation 4 version, however. Once you’ve pressed the appropriate button, the chosen character would then perform their Break Attack. Which if you’ve ever played any other Neptunia title is just like the EXE Drives. They’re supposed to be flashy over-the-top attacks that deal tons of damage and make our heroines look badass. The key word there is supposed to though. It’s here where we need to start talking about an issue that like the E3 build is a problem in the AX one: the lack of polish. While I certainly wasn’t expecting the AX demo of Super Neptunia RPG to completely fix all the issues of the E3 build, what I wasn’t expecting was there to be new issues. Sticking to the Break Attacks for the moment, they really felt underwhelming. While they certainly look like they should impress there are a few issues. 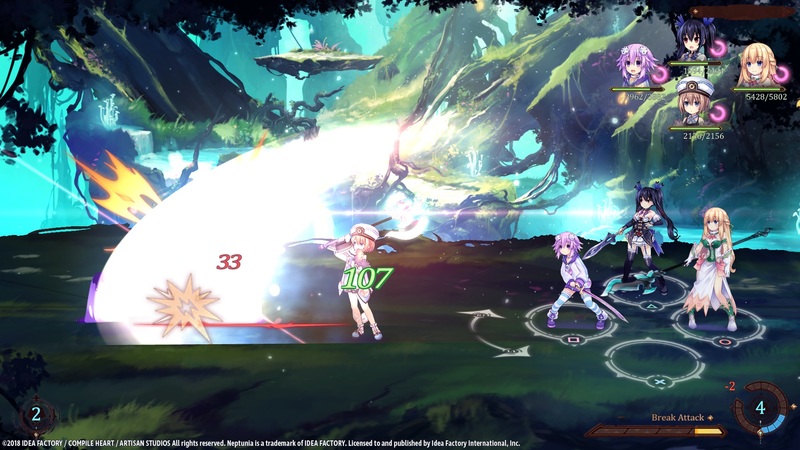 One is that the 3D Neptunia games often use lots of camera angles to make these attacks very dynamic and leave an impact on the player. That’s that not really possible in a 2D game, but you can still do a lot with the character models. However, for some reason, I felt the animations used were rather boring save for Blanc’s. A big reason for this I think is the speed of the attacks and the sound effects used. Since Blanc spinning around with her ax is naturally quick, it was the one Break Attack I felt was fun to watch. Also, apologies, but photo and video weren’t allowed to be taken during the demo. So no images of Blanc doing her Break Attack. In regards to the sound effects, these really fell flat to me. The best way to put it is they felt generic. The speed of the attack meanwhile I think had more to do with the framerate. Whenever I did a break attack the game felt like it slowed down a bit, especially when loading in the full-bodied character cut-in that takes place before the finishing blow. This really slowed down the action and dragged things out. I understand this build probably hasn’t been optimized, but the slowdown is easily apparent. Finally, there’s a big issue with Blanc’s Break Attack specifically: the sound effects didn’t work. This really highlighted the sound effect issue to me, since all I could hear was the sound of the monster reacting to the hit and the not the sound of Blanc striking the enemy. These monster sounds didn’t work for me. Also, just to be sure this wasn’t a one-time thing, I tried using Blanc’s Break Attack after trying the other character’s and this was a consistent issue. In addition, during IFI’s “Nep Yeah!” panel the game soft-locked. To use Nep’s starting position in the demo as an example. If you couldn’t move from this spot, but the game was still running that would be a soft-lock. For those who don’t know what a soft-lock is, it’s basically the game being stuck in a state where it’s still running, but you can’t continue on. This is opposed to a crash, in which the game just closes unceremoniously, or a freeze, where the game becomes completely locked up. As for what triggered the soft-lock I couldn’t say for sure, but it looked like the item menu was opened just as a battle was being finished, which probably confused the game. While I hate to nitpick about these things, this did happen during a live panel. Plus, it’s indicative of the state this demo was in, in short, this was not ready to be shown I feel. The purpose of any demo is to give a person a sneak peek as to what they will be getting into. This is a publisher’s chance to sell me on the game. It’s supposed to instill confidence in the project and pump me up for the inevitable release. However, this did exactly the opposite. I left me wondering what was going on behind the scenes. In short, I’m concerned about this game. 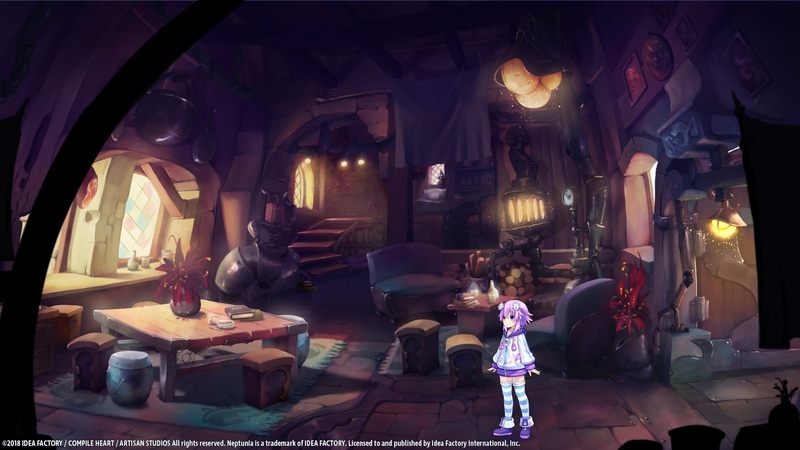 From still images, Super Neptunia RPG looks like an amazing game. But seeing it action, really killed my enthusiasm for the title. Let’s hope things improve as we get closer to its release. As I said, I adore the Neptunia franchise. It is easily my favorite gaming series and one that’s had a massive influence on me. But, fan as I may be, I still need to be honest at the end of the day. And based on the E3 and the AX demo, I can only recommend a wait-and-see approach to this game. Hopefully, Idea Factory International will stream the final build of the game sometime before release as they often do. Until then, all we can do wait for September 27th, what looks to be the Japanese release date, to see how this outing for Neptune and crew will fare. However, we’re not quite done yet with talking about Super Neptunia RPG. Come back tomorrow where we’ll go over why the success of this Neptunia game is so important to the future of the franchise. See you then.